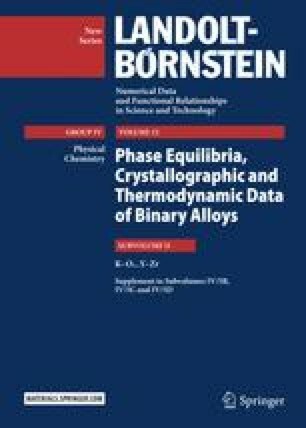 This chapter provides the enthalpy of formation of Mo-Si (molybdenum-silicon) system. On the basis of results from high-temperature direct synthesis calorimetry at 1473 ± 2 K Meschel et al. [98Mes] have calculated standard enthalpies of formation of intermediate phases. The results are given in Table 1.